In today’s digital era, people are aiming for paperless business operations in the world. But there’s still a long way to go before we lose our dependence on this very important human product. To produce paper takes twice the energy used to produce a plastic bag. Everything takes energy to produce. For producing papers, it also involves cutting down trees. Deforestation is one of the main environmental problems we’re facing in these times. 42% of all global wood harvest is used to make paper. Is it really worth it to cut down our life saving trees for this product? We must go for a effective recycling of waste paper in order to reduce the adverse effect of deforestation in the world. Epson recently announced PaperLab, the first ever in-office paper recycling machine. According to them, it’s a world’s first PaperLab in-office recycling machine can turn waste paper into fresh sheets of new paper in about three minutes. All you have to do is feed the used paper you would like to recycle into the machine and choose how you you like for it to come out, you can even make business cards or colored pages – it all depends on how you program the equipment. A few minutes later, fresh sheets of A4 or A3 paper spit out! Epson aims to help customers increase operational efficiency by providing high-speed, low-power business inkjet printers that deliver images of amazing quality at a low cost per print. And by employing PaperLab to convert used paper into new, the company believes that offices of all types will fundamentally change the way they think about paper. 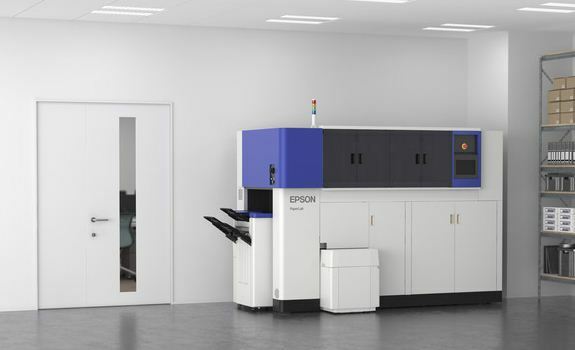 Epson says this is the first “compact office paper making system” that can recycle paper without the use of water—an important ingredient in traditional paper recycling. “Given that water is a precious global resource, Epson felt a dry process was needed,” the company said in its PaperLab announcement. Despite the water-free claim, Epson says PaperLab does need a small amount of water to maintain humidity within the machine. Presumably there's a small tank of water that needs to be filled up occasionally, reported first by Ars Technica. Being able to recycle paper inside the office offers many benefits. From cutting down on waste, to saving money on paper and even solving a privacy issue since it prevents important documents from being discarded inappropriately. As per their official announcement, Dry Fiber Technology consists of three separate technologies: fiberizing, binding, and forming. Fiberizing - Using an original mechanism, waste paper is transformed into long, thin cottony, fibers. This process immediately and completely destroys confidential documents. Since the PaperLab does not use water, it does not require plumbing facilities. That, plus its compact size, makes it easy to install in the backyard of an office. Binding - A variety of different binders can be added to the fiberized material to increase the binding strength or whiteness of the paper or to add color, fragrance, flame resistance, or other properties needed for a given application. Forming - Users can produce sheets of A4 or A3 office paper and even paper for business cards thanks to forming technology that allows them to control the density, thickness, and size of paper. The current prototype will take up a good amount of space at 8.5 feet wide, 3.9 feet deep, and nearly six feet tall. That’s not something you’d want to keep in your living room, but could work well in an office with a big storeroom. Epson has yet to announce pricing or a specific launch date in Japan. Epson will present PaperLab to the public at the Eco-Products environmental exhibition conference this week in Tokyo, Japan. In 2016, the product will be released in Japan as a market test, and if all goes well it will later on be released the rest of the world.